Welcome to the University of Oregon seismic lab webpage! The natural beauty of Oregon is diverse: the rugged Pacific Coast gives way to the temperate rainforest west of the Cascades, while the high desert displays a fragmented and expansive landscape. 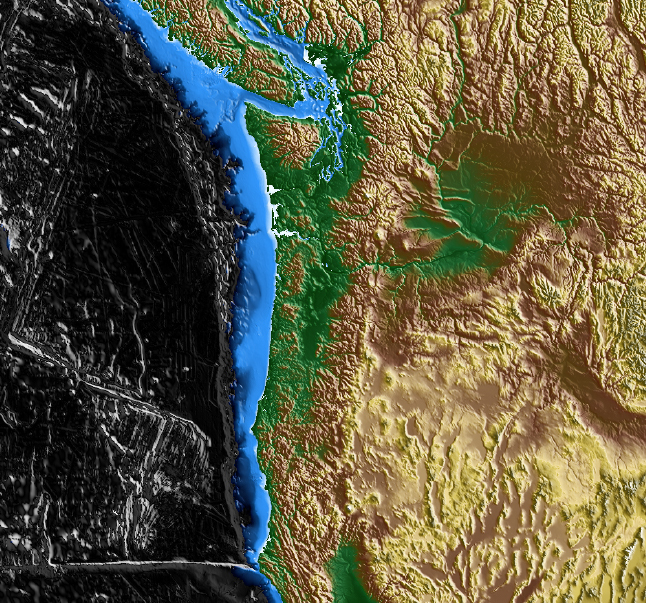 The dynamic nature of the Pacific Northwest’s continental margin – the Cascadia Subduction Zone – is the primary cause for sculpting Oregon’s geography. As such, earthquake-generating faults are prevalent throughout the region…and we can do a lot to keep and eye on seismic activity.